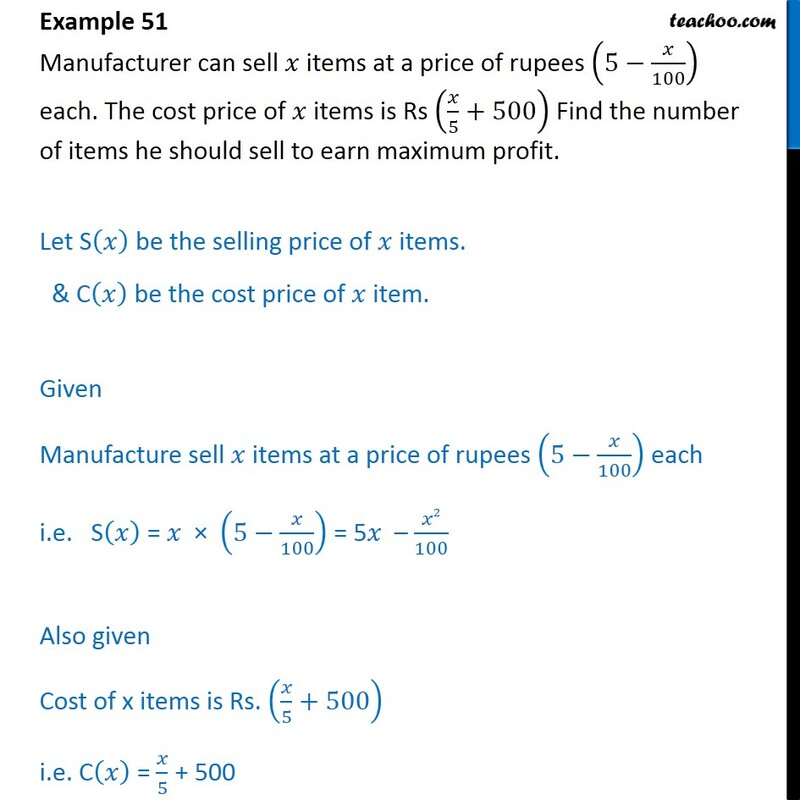 Example 51	Manufacturer can sell items at a price of rupees 5 100 each. 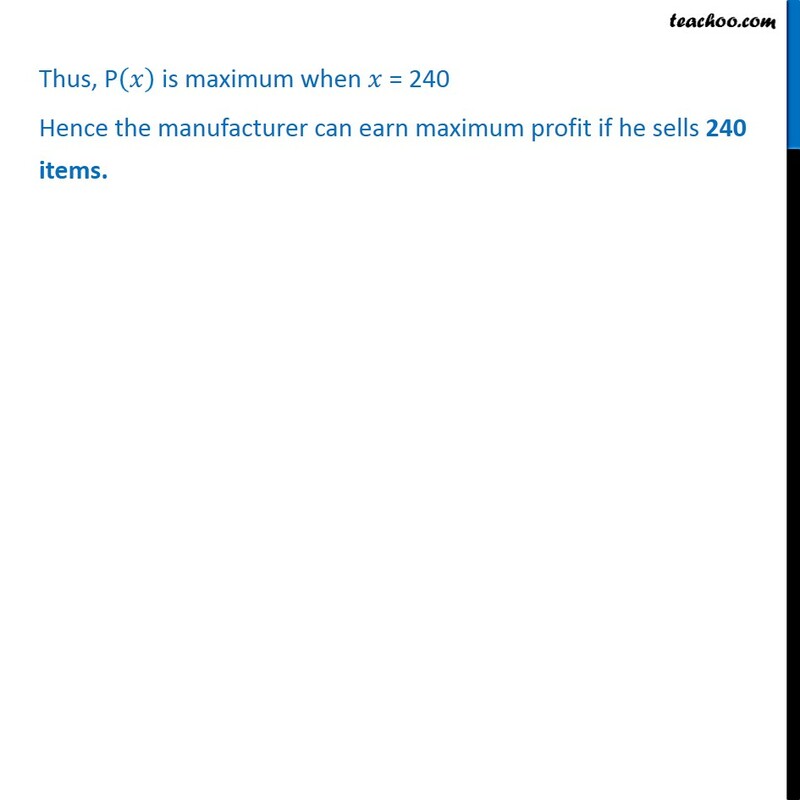 The cost price of items is Rs 5 +500 Find the number of items he should sell to earn maximum profit. Let S be the selling price of items. 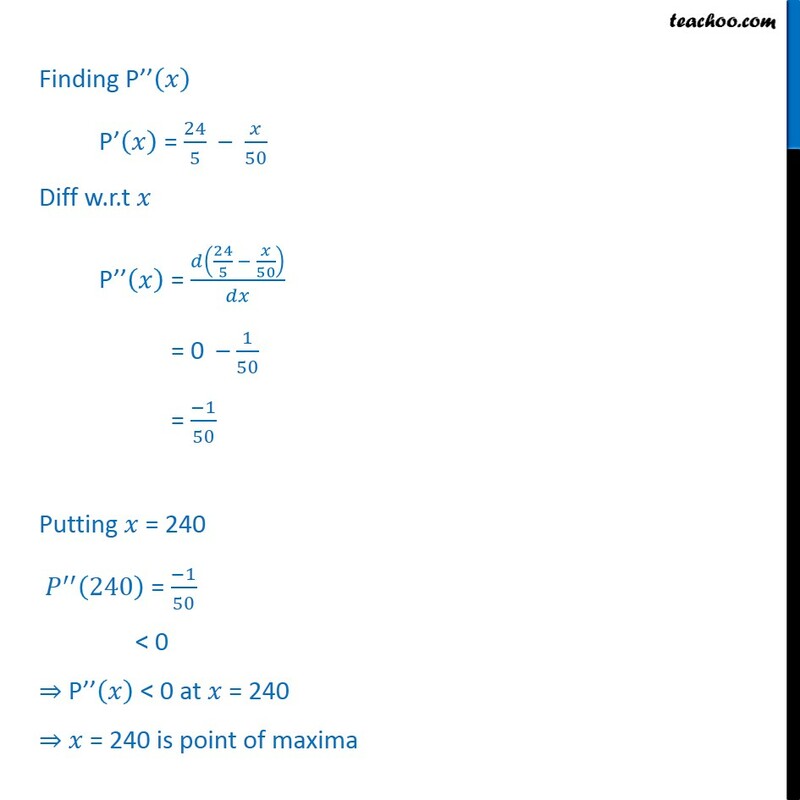 & C be the cost price of item. Given Manufacture sell items at a price of rupees 5 100 each i.e. S = 5 100 = 5 2 100 Also given Cost of x items is Rs. 5 +500 i.e. 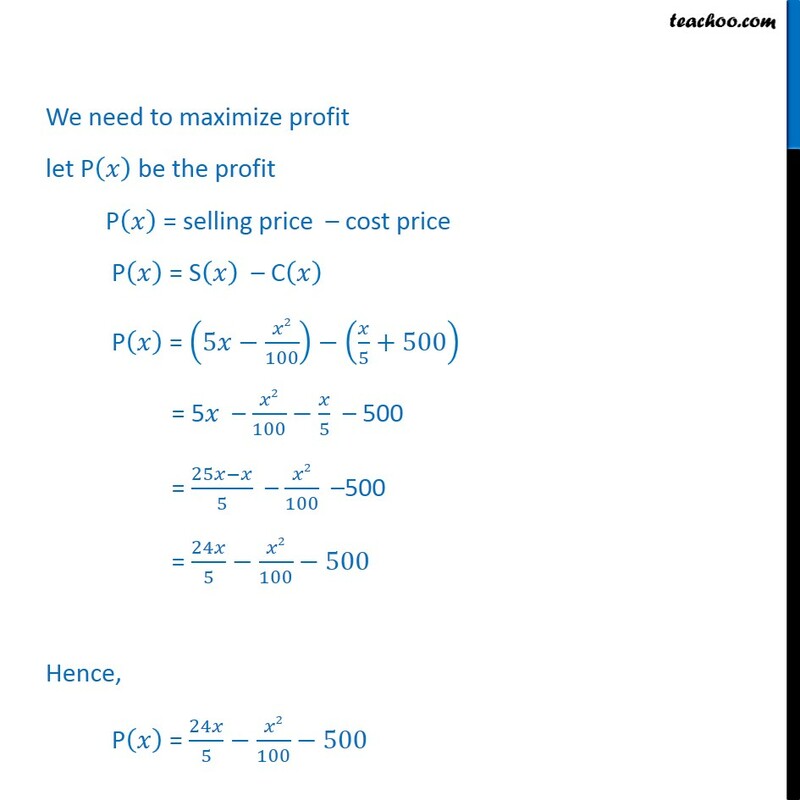 C = 5 + 500 We need to maximize profit let P be the profit P = selling price cost price P = S C P = 5 2 100 5 +500 = 5 2 100 5 500 = 25 5 2 100 500 = 24 5 2 100 500 Hence, P = 24 5 2 100 500 Diff w.r.t x P = 24 5 2 100 500 P = 24 5 2 100 0 P = 24 5 50 Putting P = 0 24 5 50 = 0 50 = 24 5 = 24 5 50 = 240 Finding P P = 24 5 50 Diff w.r.t P = 24 5 50 = 0 1 50 = 1 50 Putting = 240 240 = 1 50 < 0 P < 0 at = 240 = 240 is point of maxima Thus, P is maximum when = 240 Hence the manufacturer can earn maximum profit if he sells 240 items.